Though most of the cakes I do are a decorated design, I occasionally do a dessert type cake. A cake…just for the deliciousness of it! This time, it was a black forest cake. 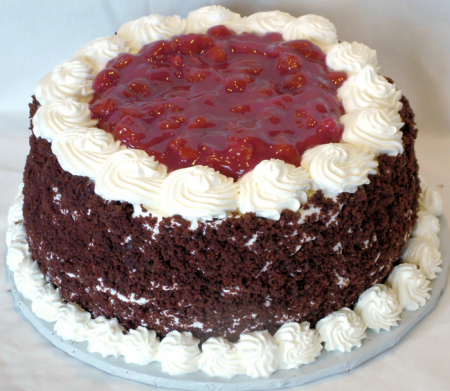 Chocolate cake…cherry filling…whipped cream. Yum!